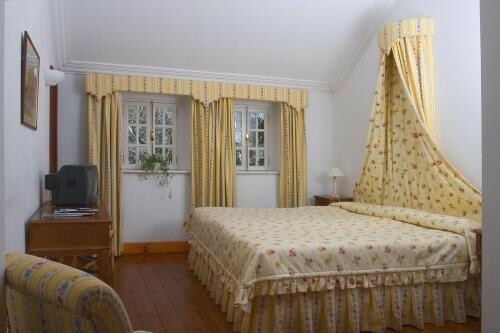 Located very close to the old part of Sintra, the Lawrences Hotel enjoys fame from being one of the oldest hotels in Europe and for the many famous clients throughout several centuries. Originally a town manor house it provides 16 individually-decorated guest rooms, a sophisticated successful dining room serving gourmet cuisine with a modern twist, and an outdoor terrace with scenic views. The hotel also features free Wi-Fi in public areas, a library, and a 24-hour reception desk. A lively bar serves traditional drinks and spirits until late at night. Popular sights nearby to the hotel include the historic Pena National Palace and the Monserrate Palace.